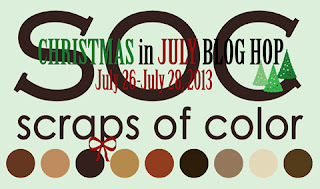 Creative Musings by Michelle Vocke: SOC Christmas in July Blog Hop! Love your advent calendar, great detail! This is really beautiful and I know it took some work. Michelle, you did your thing on this. Cool beans. This will be quite the treat for the little one who gets to open each drawer. Very inviting. Very nice!!! Love your blog!! That is the cutest calendar. It makes it easy to keep things for future scrapbooks. Thanks for a chance to win. Your advent calendar is super gorgeous! 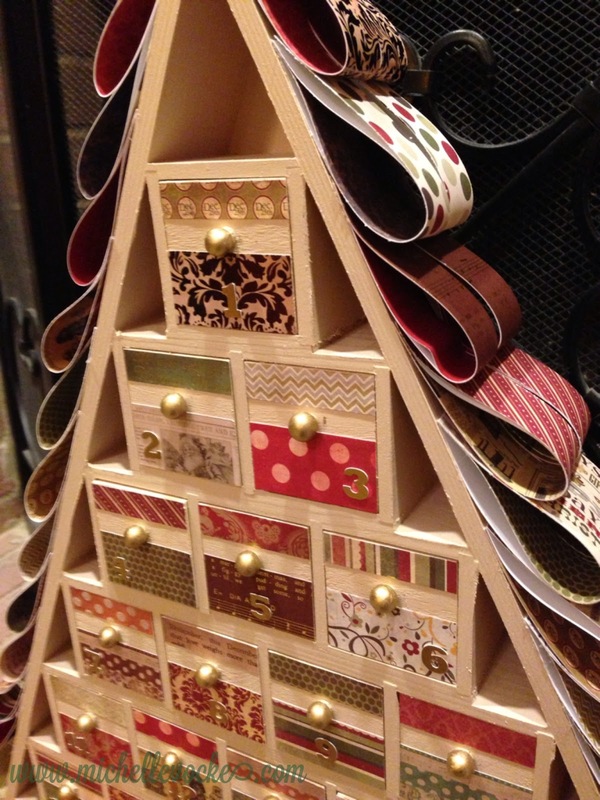 Whew... this wooden tree advent calendar is loaded with beautiful details! This advent tree looks like a big job. Wow! That is an incredible piece of art! How creative! The colors are wonderful. I'll take those markers! LOL! Great advent calendar! How did you do it? WOW the whole set of markers! Awesome prize. I keep looking at the Kaisercraft storage I purchased over a year ago. You've inspired me to pull it out! Now you went and did it! You rocked this out of the ball park! What beautiful work! WOW! All I can say is AMAZING! Love your blog site also...I'm now a follower. LOVE, LOVE, LOVE this project! This is amazing...WOW! Awesome you did a great job!!! Thank you all for the WONDERFUL comments! I really had fun making this project. rettaescape: It really was not hard to make this project. I painted the wood, decorated the drawers, colored the knobs, cut numbers & adhered, and cut strips of paper to glue on the sides. Super easy! Audrey Sandra - I bought the Tree Advent Calendar at Michael's about a year ago. My Michael's didn't have them, but there is a larger Michael's where my friend lives and they had it. This is too nice to make and give away. Definitely not a super easy project! I love it! My daughter always begs for an advent calendar filled with candy but her lazy mom hasn't done one yet lol!!! 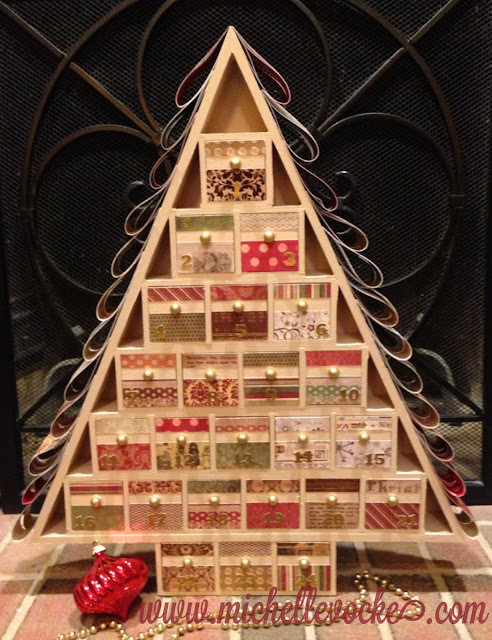 That is a simply gorgeous advent calendar. As my uncle would say, you put your foot in/on this!! Simply stunning! !